where the $#%^! are you? 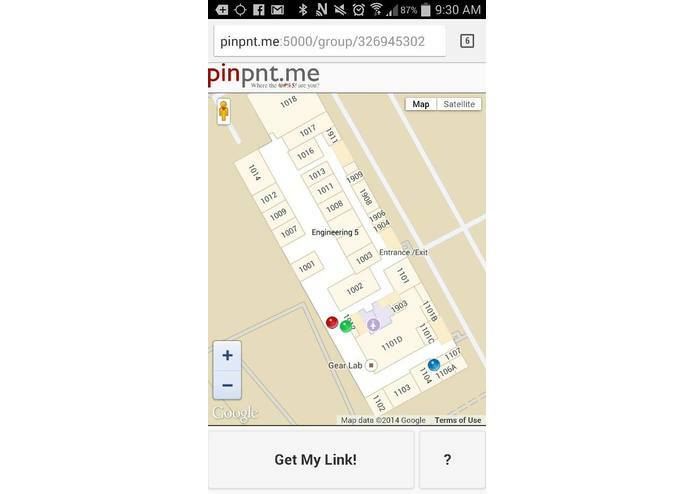 pinpnt.me is a quick and clean location sharing app. 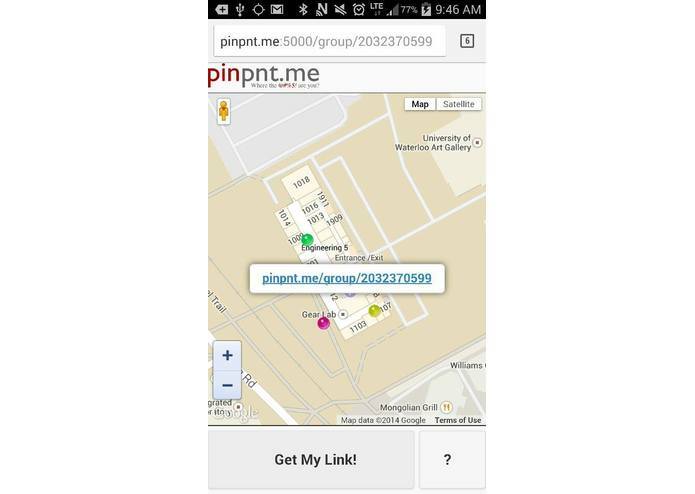 Share your location as easily as sharing a link to co-ordinate a meet up, or track your own location as you move around! Meeting up with people, especially in crowded or unfamiliar places is hard. Assembling at the University of Waterloo for Hack The North was especially difficult since half our team is from out of town, and one of our members arrived much after dark, when it was difficult to identify both building landmarks and street signs. The lost and/or confused. Anyone looking for a super-quick way to find people. pinpnt.me is a lightweight web app that uses the Google Maps API to help people find themselves and each other (in a literal sense). The overriding design goal for pinpnt.me was to make it as clean and simple as possible. The idea is that finding yourself and your friends should be as easy as possible, without the hassle of signing up for a service, downloading an app, or worrying that your location data will be recorded or logged. Google Maps API - because maps. No need to install, this is a web app. We're a group of first year's from a few different schools, who graduated in the same high school class. We get lost on a fairly regular basis.